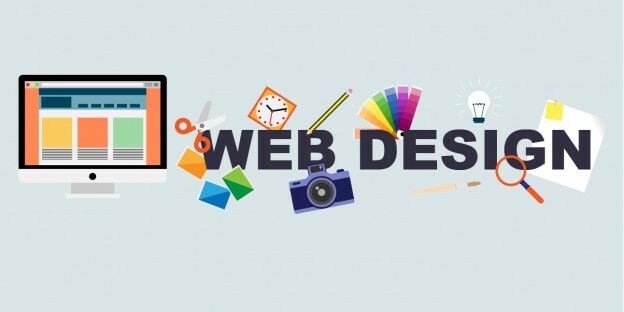 Together, these technological advances have created a real turning point in the history of web design, particularly with the emergence of adaptive sites (“responsive” in English) and more generally, mobile oriented designs. In terms of aesthetics, we cannot ignore the supreme reign of flat design, three years ago. Then it was Google’s turn to introduce Material Design to push us further towards abstract design. In 2017, we have seen that the trends bring us a little closer to reality: 2017 has been the year of hybrids, in forms as well as in colors or functionality, where technology and reality come together to create experience so far unequaled. Since the archaic birth of web design (that is to say, 20 years ago), we have seen two types of navigation: top (menu bar at the top) and sidebar (menu bar at the sides). It was the arrival of responsive design that led to the arrival of the hamburger menu. What would you say to us? No need to tell users how to navigate a website. They know the principle of scrolling and will use it instinctively until they find the information they are looking for. Some graphic designers have chosen to remove almost all menus and let users evolve freely. Instead of designing two different menus, one for the desktop version and the other for the mobile version, many websites opt for hamburger navigation. Since the designers realized that it is no longer necessary to occupy space on the screen with a navigation bar. Of course, you do not have to put a hamburger icon … We are seeing more and more graphic designers play on typography to indicate to users where to click to access the menu. This entry was posted in Web design and tagged Search Engine Optimization: How to, Search Engine Optimization. SEO strategies, SEO mauritius, social media mauritius, web companies, Web companies in Mauritius, Web company in Mauritius, web mauritius, website content, website creation on November 12, 2017 by admin.